Today’s post is about that most important ingredient of Blogging Success – HOW TO PROMOTE YOUR BLOG. A very good question and one I have been giving quite a bit of thought to recently. I think most people over-complicate traffic. They’re reading too much into all these techniques and spending all their time making sure their blog looks good. There’s nothing wrong with having a great blog design or doing SEO the right way. But it is a problem when you’re spending so much time on the technical stuff that you forget your site’s purpose: to provide immense value for your visitors. Extraordinary content is the key to extraordinary traffic. The number 1 thing you should focus on to get traffic is, great content. Why? because that’s what attracts people to your website. When I’m writing an article, I have two things in mind. Firstly, I want to make it as simple for someone to understand as possible. Secondly, I want to make it as beneficial to the reader as possible. So, with that in mind, how much great content do you need to get 1000 visitors a day. 10 articles getting 100 visitors a day. 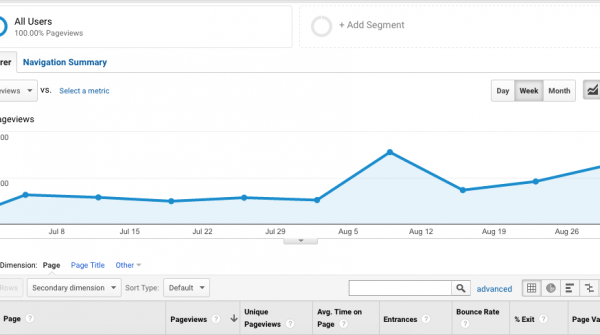 20 articles getting 50 visitors a day. 100 articles getting 10 visitors a day. Looking at these numbers, I would say you were best of focusing on less articles, that bring more traffic. Brainstorm and research high traffic keywords. Great content gets linked to a lot, on both social media and blogs, but only if people can find it in the first place. Links help you rank high in Google. But none of this matters if you don’t target your blog post for something people are actually searching for in Google. Keyword research is all about finding keywords that get the most searches in Google. To do this, we use Ahrefs. This has to be my favorite tool that I have found this year. It’s far better and more user friendly than any other tool similar to it. Once you signup for an account (they have a free trial), go to their Keywords Explorer tool and type in the topic you want to write a blog post about. You want to find keywords that have a lot of searches but are not so competitive that you can’t rank for them. Ahrefs will tell you how much traffic a search term is getting and how many backlinks you are likely to need to rank for this search term. It will also tell you who is already ranking for it, how much traffic they are getting and what other keywords they rank for on that page. This is an important point to remember. Your blog posts won’t just rank for 1 keyword, but perhaps 100’s and in some cases, 1000’s of different keywords. Write a headline to sell people on your article. A headline is what attracts people to your blog post. When we write headlines for our posts, we try to include what they will learn, the benefit from learning it and also why they should learn it from us. They will learn the best headlines, to get lots of traffic and they should listen to us because we have been successful at it. They learn website optimization tips, the benefit being more traffic and higher conversions. Create a top list article around keywords. Our readers seem to prefer top list articles much more than any other type of post. I think this is because you know exactly what you are going to get. Not only do you know what you are going to get but you also know how the content is going to be laid out. I think this is key to their success because people want to skim content. They don’t want to invest time into reading long posts if they don’t know it’s going to be worth it. One recommendation I would make is, link out to other websites in your blog posts. When we write articles such as 50 Most Influential People In Blogging, we link to each blogger. When they see the post, they often share it and link to it somewhere on their blog. As mentioned earlier in this post, the more links a website has pointing to it, the higher it ranks in Google. Optimize readability and proof read your blog posts. We like to write content in a way that people can come to our site and quickly skim an article and figure out if it’s an article they want to read. I think this is a big part of why so many people read our posts. Think about it this way, if you go to one of our blog posts and it’s just 2000 words, no paragraphs, no headlines, no images, are you going to invest your time reading it? It’s unlikely you would. When we create a blog post, we make sure we use images, not just to promote our posts, but to split up the content. Sometimes we include sub-headlines for sub-headlines. It’s important to break up content to make it easy to read. Now that you have found a good keyword and written a blog post, you need to optimize your post for that keyword. Go and download a free WordPress plugin called Yoast SEO. 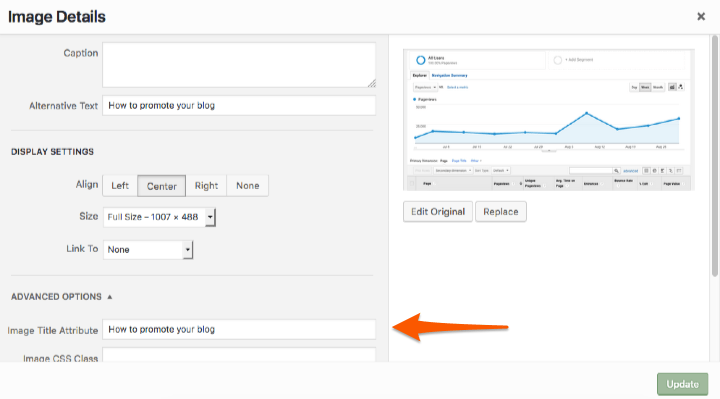 This plugin will ask you what search term you want your blog post to rank for. Then it will tell you everything you need to do to best rank for it. Once you have done this, you should be ready to publish your post. A big part of how Google decides on where your blog post will rank in it’s search engine is based on how much it likes your website. Google wants to link to websites that are up to date, user friendly, trustworthy and popular. Remember, you can optimize your blog posts as much as you like, but if the content isn’t amazing, it’s not going to get linked to, which means it’s not going to rank well in Google. Now that your blog post is published and it’s optimized for Google, the next important thing I recommend you do, is to make it easy for people to find your content. You want as many people as possible, all coming to your website at the same time to view your new post. Not just because you want lot’s of traffic but because it gives you a better chance of getting even more traffic. Think about it this way, if someone sees one person share your article, they often won’t look at it. But if they see 10 people sharing your article, they start to think, WOW, this must be good. If you’re creating great content, you’re bound to eventually get some big spikes in traffic. When starting out with a website, we could be getting about 400 visitors a day. Then one day we post an interesting article that does well on social media and it gets about 4,000 visitors that day. That’s 10 times the amount of traffic. The only problem with spikes in traffic is that they can be gone as quickly as they come. The spike of a successful article goes down after two or three days. But a good website is designed to turn one-time traffic into recurring traffic. After jumping from 400 visitors a day to 4,000 visitors a day, it goes back down to 600 or 700. That’s a big increase from where it was before. We turn traffic spikes into long-term traffic by asking people to subscribe to our email list. You’ll notice we have a popup and an opt-in box in the footer of this web page which offer exclusive content for people who subscribe by email. Email is the most direct way to let people know that you’ve published a great new article. Another way to get first-time visitors to come back to your site is through social media. These communities bring a consistent social buzz to each new post. Every time we do a new blog posts, we have all these new fans, all these new people. So every time we do something it’s just going to get bigger, and bigger. That’s real momentum. Like I just mentioned, one of the best way to instantly get a lot of people to visit your website is to email subscribers. Every time we email our list about a new post, 1000’s of people visit our site. Some of them share it on social media, some link to it on their blog. This gets us backlinks to our blog post and gives our search engine optimization a good boost. This is an important part to the success of any post. But how do you get email subscribers if your blog is new? Read this post about the 5 best ways to get email subscribers. Similar to having an email list, you can Tweet/Facebook your article and a whole load of people will visit it. If the article is amazing, people will share it. We don’t put a lot of effort into building our social media accounts because we know if we write great posts, our readers will do the sharing for us. Having said this, social media has been one of our best traffic sources. One of the reasons for our success with social media is we signed up and started using it way earlier then the majority of other people. When I launched IncomeDiary, something that was going really well right then was Twitter. Twitter was the in-thing. Everyone was jumping on board. Since Twitter was new, the make money online niche wasn’t yet saturated. I was getting huge amounts of traffic — literally 100,000 visitors in a month from Twitter. And I could take advantage of it so easily by just following thousands of Twitter users a day. Thousands of people would come to my profile to see who has followed them and follow me back, click my profile link, my updates, and so on. Then when Pinterest launched, we were able to do the same thing. We have found that often in business, we are able to achieve huge amounts of success by acting quickly and not waiting to see how things work out. Some bloggers may of looked at Twitter and thought it won’t last and decided not to join until a lot later. Add a link to your top navigation bar. If people enjoy your content, they will want to look for more. Add a link to the top of your sidebar. Make sure the post is featured on the home and category pages. Make sure the post is featured in related/popular posts. When I first started blogging, I would often ask friends in the industry to comment and share my posts. Most of them didn’t have any traffic, but that wasn’t important. What was important, was if I was getting lots of comments and shares, other people coming to the site would be a lot more likely to comment and share. Traffic is a Marathon, Not a Sprint. People are so excited at the beginning. They go on writing blog posts left, right, and center. But then after a few months, they haven’t made any money and they just give up. That’s why people fail so often. Even if you’re doing everything right, it’s unrealistic to expect to have a ton of traffic and income right away. These things need time. My brother didn’t make any money with Expert Photography the first few months. But he kept at it because he’d seen exactly how long it had taken me to grow my websites in the past. Eventually, he was making $100 per month, then $1000 per month, now he makes $1000’s a day. Love the video Michael! You should do more of them. I have never really been into facebook fan pages, but might have to set one up to see if I can get it to work for me. Was great shooting this Mike. I learnt a lot from this video. Very very valuable information for people. I think top lists is the best way to cause a splash in a niche! Anyway, nice new (Retire@21) website look too! Haven’t heard from you in while – now I know why. Nice video – I like the new site too. I agree 1000% That Twitter is the best source for free quick traffic,, Facebook close second for me. Great post with the video. (tips hat). My tendency is to learn all that I can, before diving in. Thanks to your articles and advice, I’ll be switching over to a hosted domain using WordPress and a WOOTheme (and other products and services you have recommended). One example is when you basically state, “Host with hostgator because I do.” If I hadn’t already been a fan of yours from your Twitter post, you would have lost me at that point as a student and consumer. As someone willing to learn from you, I wanted to know WHY I should use hostgator over godaddy or the others? I needed specifics and not just because of a “I said so”. In my case, because the information wasn’t on your site for me to review, I had to troll the net looking for who could spell it out for me. Who could explain storage and bandwidth and page load times and all the other basics that would define my reason for choosing one host over another. As a consumer, I need to know the benefits of a product before I purchase it. What will hostgator do for me at what price vs. the other hosters? What will using WordPress do for me over any other blogging/cms software? Etc. MarketMeTweet, and more. I spent countless hours digging around online. And though the end result is the same (your suggestions are near 100% the correct choice); I had to figure this out myself by trial and error. I would much rather of just learned it directly from your site (hint hint). Thanks very much for your comment, really have taken it and will do what you ask. Launching a new site for IncomeDiary in the coming weeks and it will be included, if not sooner. Yeah, Twitter is the best source for traffic. Now I’m learning how to use facebook to gain traffic like twitter did. What perfect timing for this post as I’ve just finished my 7 day IncomeDiary course and I’m all set up and ready to go! My next step is traffic, so I found this post really useful. Keep it up! The Top Lists are huge because it becomes industry specific and generates a lot of buzz and continues to bring traffic after Twitter and Facebook are done with. I use dominic.freelancer@gmail.com as my regular freelance writer and content provider. He does my blogs/article marketing and PR and saves me a lot of time. Thanks for the post – i’ve marked it as a Fav. That is one sweet video presentation! I never really gave any considerations to the “top lists”. That really opened up some interesting possibilities. I’ll be working through these steps starting now!! Hey Michael – Great post! Though (as a new blogger) I am still not clear about this ‘Top lists’ thing. How will it drive traffic to me in a huge way? As always man – that was a really great post – they are all great but this one stands out like a saw thumb – Brilliant! Well done to Aaron on the camera too 😉 …skills of a young spielberg! Just been thinking about a meet up soon bud…what are your movements next weekend, you about? Skype me up when you get the chance. Thanks for a REALLY inspirational post mate…got me thinking LOADS! Sounds good, Skype me sometime and we can organize a time to meet up. Thinking of doing a monthly meet up for Internet Entrepreneurs as well. Sweet post, that is still one thing I need to keep up in doing, participating in the social media. In addition, I never even though about creating top lists, you just gave me content ideas for the next couple of months. Thanks again Michael, keep up the good job. Good to hear Mark 🙂 Top lists kill it! Let me know how they go. Excellent video post, twitter is great traffic source for us but I am still struggling with facebook. Great tips Michael especially the top lists. Good to see you doing video as well. Keep it up! Hey, Michael, great video post, twitter is a great traffic source, but i have to say Facebook is just as good. Increase your fan page followers is the trick, also try facebook advertising. One of my favorite traffic sources has been StumbleUpon, it’s been doing great, and the advertising has worked very well, give them a try. Thanks for including THE TRANSCRIPTS !!! Great idea for us who hardly understand spoken english ! Good stuff there, Michael. Love the top lists idea. We all do the three things you mentioned but I’m not doing them effectively. Which is the key 😉 Def. deserves a re-tweet. Your video is superb, very nicely you explained the things. I use all the methods you mentioned but traffic is not increasing. what to do? Your posts are always informative. I really like the idea of having a fan page and the lists sound pretty good too. Dude, Thanks! I had forgotten how important tweeting was. I tweeted from two accounts and got like twenty people immediately. :o) I know that’s small, but I’m just starting with this new graphic design blog. Now I need to go write some top list posts. I’m little confused on something. i donot really understand the list concept.? can any body please help me how to create a list.? and how to get traffic by using list.? 1 – Add Hosting Site here that you think is the best! Then talk about it’s benefits. 2 – Add 2nd best Hosting Site here…. 3 – Add 3rd best Hosting Site here…. Near each Hosting site on the top 10 you should write a short description on “why” this Hosting site is so great. Let people know the benefits and why it’s better than the one below it. You could give 4 reasons why it’s so great! After you are finished writing the top 10 list you should make sure to have an introduction and a conclusion. This will make your list more professional. I hope this helps you. I know it’s been awhile since you posted your question, but maybe someone else will read it and it could help them as well. Thanks for this information, Nice video.. Hope it help me..
Michael,your video was tops man. Thanks a lot.and keep up the good work! The reason why it’s good to write list type articles is because people LOVE them! When I see a top 10 list article I have to read it. I’m sure you have seen a top 10 that you liked and you felt the urge to read it as well. We are curious to find out what is the top. And that is what we are doing. Trying to make people curious. 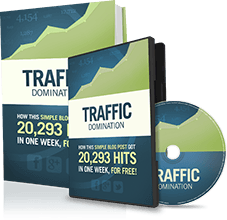 So creating Top 10, Top 20, Top 50 and Top 100 “fill in blank” can help you get a ton of traffic! Some very useful insights here. I’ve certainly noticed a lot of people doing “Top lists” so it must be working! Thank you so much for this! It really helped me, Really! Great Video, superb tips! I guess it’s all about having something interesting to say and sticking your neck out. And that’s such a big step to take for many of us. I join your short course just yesterday and I am hoping to learn from you Michael. Top lists always attracts a lot of attention. It’s a common blog post type on places like Digg and Mashable. What a simple but great idea, thanks so much for sharing! The rest of your site is loaded with great info as well, so thanks for all of the education. I really like your posts… They are all so informative. Subscribing here is not a mistake… Keep it coming, Mike! Twitter & RTs can be very difficult to stimulate when you’re working with something very niche. My specialism is email marketing but because some of my tweets/posts are very specialist rather than just ‘My Top 10 ways to increase deliverability’ I find it hard to propagate through. Great Post learned a huge amount from this and will be using it as one of my strategies in the very near future. Thanks for sharing your tips, as i can see, you have a lot of backlinks. Some other autority sites probably accepted to link exchange with you but still, I think backlinking is vital for traffic. Reddit is the best one site for get huge traffic,but you should know about this sites rules and regulations first.